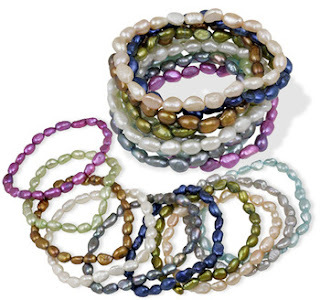 Wow, right now at Shadora, you can get genuine freshwater pearl stretch bracelets for only $1 each with any $4.99 order. This means you can get 5 bracelets in the colors of your choice for only $5. Even sweeter, your order will ship for free! There are 10 colors to choose from. These would make awesome gifts to keep on hand for impromptu gift giving! At the time of posting, there was only about 20% stock left, so it won't be long before they sell out. NOTE: Here's two other great Shadora deals to check out!